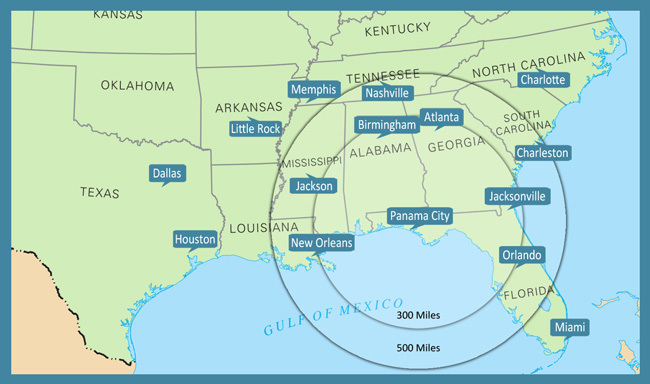 Bay County, Florida is located on the Gulf Coast in the center of Northwest Florida, south of Interstate 10 between Pensacola and Tallahassee. 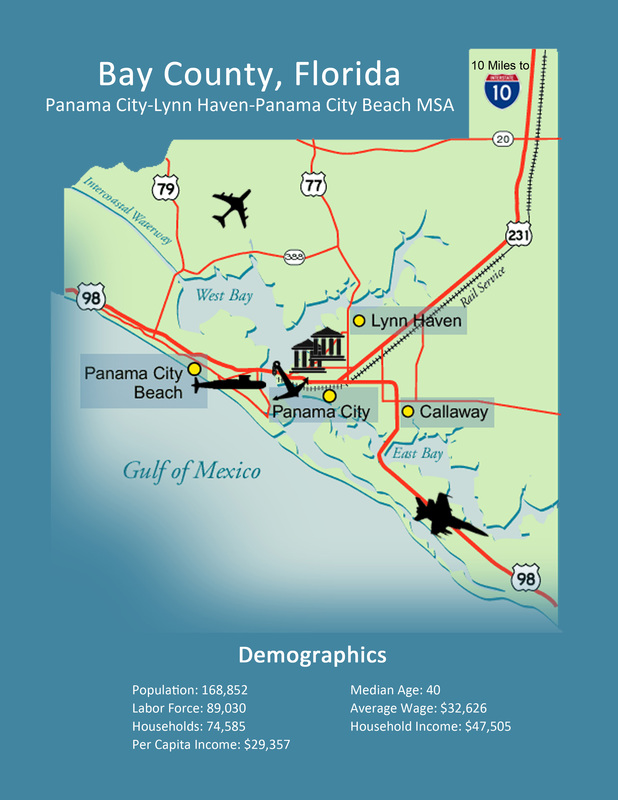 It is located in the heart of what many refer to as the “Florida Panhandle,” also known as the Panama City-Lynn Haven-Panama City Beach Metropolitan Statistical Area (MSA), which is made up of the Cities of Panama City, Lynn Haven, Callaway, Panama City Beach, Springfield, Parker, Mexico Beach and Gulf County. The area is well-known for its 27 miles of the world’s most beautiful sugary-white sand beaches and emerald green waters of the Gulf of Mexico, but is now growing more popular as a place to do business, ranked as the #1 area for economic growth potential in the U.S.